Which option should I select when I am calculating Sires from an AI and a back up bull? 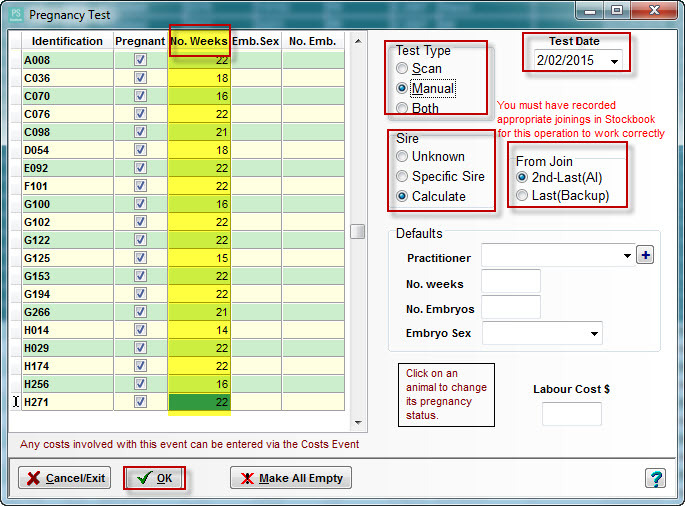 Select the Events > Preg. Test/ Scan menu option. The Last (Backup) refers to the last joining in this period which is normally a back-up bull, which has been used after any AI. It will select the last joining. 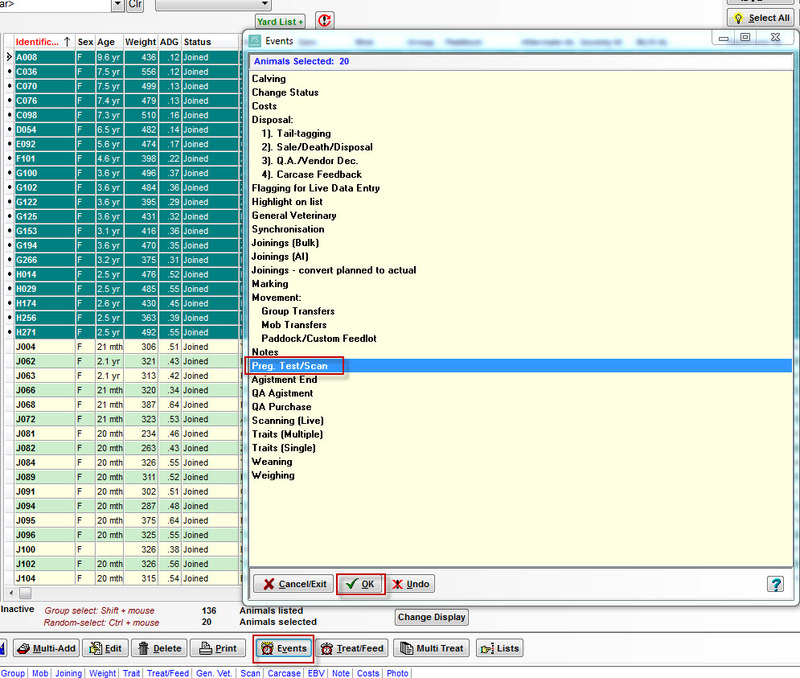 It may find that two joinings meet the criteria, in which case you will have to manually select one and/or Stockbook will not select one. Natural Joinings: Conception date can be between 14 days before joining to 90 days after joining (If no Date Out for Bulls is recorded) or 14 days after joining Date Out. AI and Hand Mate: Conception date can be +/- 14 days of the joining date. ET: Conception date can be between 21 days before the joining date and 7 days after.